Gung Hay Fat Choy! Happy Chinese New Year! It’s time to ring in the Year of the Rooster. If you’re wondering what that means and what the year will bring, I found a great online piece here. One of my favorite takeaways was that, “in a Rooster Year, all of the Chinese animals can reap great rewards by tapping into Rooster traits. Loyalty, commitment, hard work, family values, and top-notch appearances are just some of the characteristics that will be rewarded this year.” Good to know! I have to admit, I didn’t know that Roosters were so into their appearances! I guess that means we’ll all have to dress our best this year. But of course, we were already doing that anyway, right? Lol. For this edition of my Top 5, I’ve selected five stylish gift ideas for the men in your life… or perhaps a gift from you to you? I suggest visiting Gear Hungry if you are looking for some great gifts for your man. The Year of the Rooster is said to bring great financial rewards! 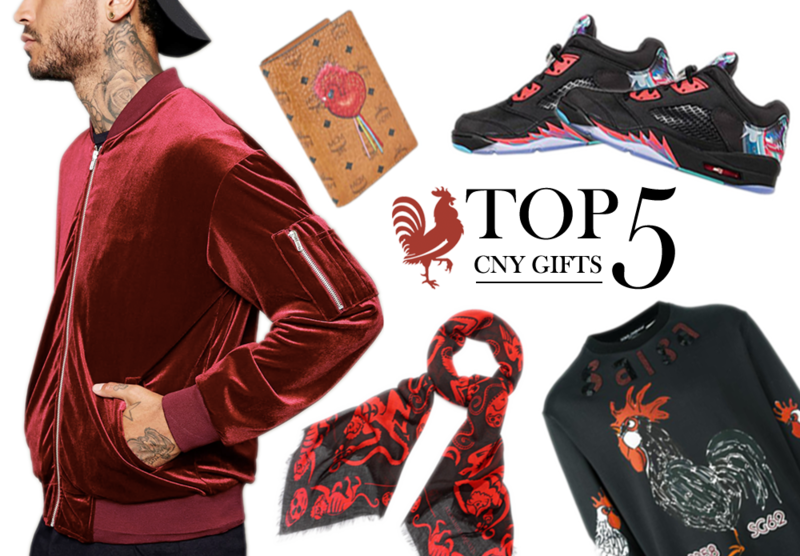 A few brands have actually created limited edition Chinese New Year pieces, complete with rooster zodiac motifs. I’ve linked a few of those below, plus an awesome red velvet, bomber jacket. The perfect fashion statement to reflect the rooster year, no? Definitely a good luck piece to add to your wardrobe this CNY. Just for fun, I thought I’d share some famous rooster celebs. Did you know these stars were roosters?